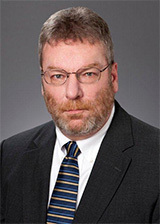 Mark Graf, senior counsel, joined Parker Mills LLP in 2012. He concentrates his practice on professional malpractice, including attorneys, accountants and financial services professionals, as well as general business and commercial litigation, including contractual liability, business torts, trade secret misappropriation, malicious prosecution, unfair competition, partnership disputes and defamation actions. He also has significant experience in insurance coverage and bad faith analysis and litigation, including first-party and third-party commercial and personal lines, environmental, professional liability, life and disability, excess, specialty lines coverages, broker/agent issues, rescission, reformation and inter-insurer disputes. He recently spent 18 years at Sedgwick LLP. Previously, he worked with several Parker Mills attorneys while at Lewis Brisbois Bisgaard & Smith. Mr. Graf enjoys suspense novels and martial arts. University of Illinois, College of Law, Champaign IL 1979, J.D. University of Dayton, Dayton, OH, 1975, B.A.